Security protection on CoinDeal is high quality! 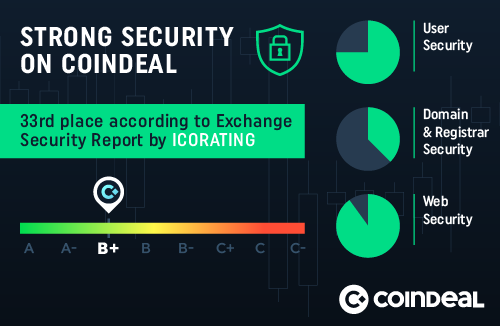 CoinDeal got B+ score at new Exchange Security Report made by ICORating. We are in the 33rd place and our security is better than on more than 100 other popular exchanges. Click and read the whole report.